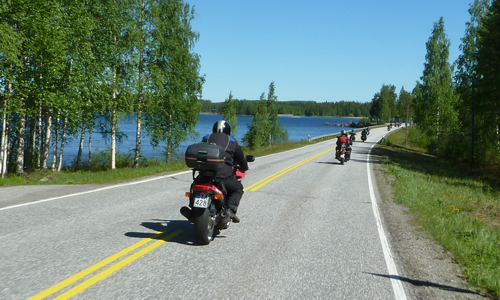 Lake Finland - Motorcycle tour to Finland — Motorcycle Adventures on The Globe! Our Lake Ride Finland is an extra long weekend with many faces where you easily forget Mondays at home! We also open the door to Finnish lifestyle for you, which is close to nature and without complications. Our slogan is "Life is Now" and we think you are coming a step closer to that on this tour! The Region of the Great Lakes is also hiding in itself some specialties of the Finnish kitchen! You will taste on this tour such unique food like; Kalakukko, Muikut ja Muussi and Lörtsy! Kalakukko is a pie or a kind of a bread full of fish! Muikut and Muussi is a very traditional dish in Savonia. You get on your plate small needlefishes with delicious mashed potatoes. Lörtsy is the Savonia version of a burger. Minced meat inside a big 'pancake'. You’ll love it or you’ll hate it! And yes. Because you are in Finland, you will have a sauna, or two... or three on this tour! Finnish people love their saunas and many of them go to sauna every single day! Enjoy our unique lake area... it is one of the kind! You arrive at your Helsinki hotel before 6pm. You will stay in Helsinki city center. From the airport you reach your hotel easily with airport train or Finnair's airport bus. A bus is running every 20 minute and a train is running every 10 minutes. Before welcome dinner you can do what Finns do... have a Sauna! In Finland almost every hotel has a sauna! At 8pm you will have welcome dinner with your tour leader. During the dinner your tour leader will give you a lot of information about the upcoming days. Showtime. After picking up our bikes we head north and northeast. No one has the exact number, but in Finland there are about 180,000 lakes and you will see quite a few of them on this tour. You will get the first look in Heinola where we take a coffee break at a great lakeside cafe, Café Kailas! In Heinola we abandon the highway and continue on small paved roads where you start to get the picture of Finland's countryside! Compared to central European standards, there are no people, a lot of forest, a lot of lakes and a lot of fun roads to drive for bikers. Your second night in Finland will be in welcoming Savonlinna, which is surrounded by lakes from all sides! And because you are in Savo-area, it is a must to have Muikut & Muussi for dinner! It is a very old traditional dish which is made of fried small fish and mashed potatoes. 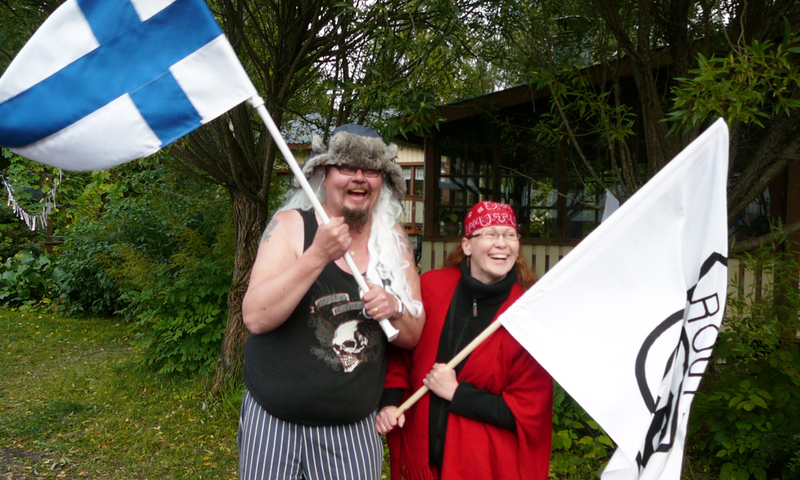 Most of the Finns love Muikut & Muussi! And in Savonlinna locals eat night snacks something they call Lörtsy! And definitely, if you go to a bar tonight, you have to test Lörtsy on the way home! You love it or you hate it :). After breakfast you have an hour or two to stroll around market square and beautiful shores of the city center. We leave Savonlinna before noon. One highlight of the day is just 30 minutes away from the city. Awesome Punkaharju road where you have lakes on both sides of the road. After Punkaharju we take a small stretch of highway and continue from Tolosenmäki back to 'biker-roads'. Your destination today is Kuopio which is the heartland of Savo. And here, just to say that whatever locals talk, everything is on listeners responsibility. Kuopio is the heartland of Kalakukko, 700 years old traditional dish... wish is in a way a Finnish version of a calzone. Same same but very different! And however, for the first course we have Kalakukko! After breakfast we drive to the 'Eifel-tower of Kuopio', Puijo-tower! From the top of the tower you have magnificent views over lakes. From the tower we are heading south towards a small city, Leppävirta. And as you can guess, we take biker-friendly roads. There is also a small ferry crossing as yesterday. In idyllic Leppävirta it is time for a coffee. In Suonenjoki, strawberry capital of Finland, we have to take a couple strawberries. To Jyväskylä we arrive between mid and late afternoon. Here you will have a very special evening. You are going to sauna. Ok, that is not so special anymore, but today your sauna has an engine and a Capitan. The Capitan is driving around while you are enjoying sauna and swimming! Today back to Helsinki, but not much big roads today either. The first part of the day you are following Päijänne lake's east coast. It is the same lake where you had a saunacruise last night! In winter time locals ski and ice skate here. One highlight today is awesome Pulkkilanharju, where you have a lot of water on your both sides! At Asikkala we stop at Majakkapaviljonki for a lunch break. Majakkapaviljonki is also a meeting spot for local bikers. So have a chat with local bikers. They talk especially if you ask something about their bike! To Helsinki we continue via Lammi and Järvenpää on small fun roads of course. And now when you have used to be on the water, you will be on the ship also tonight! 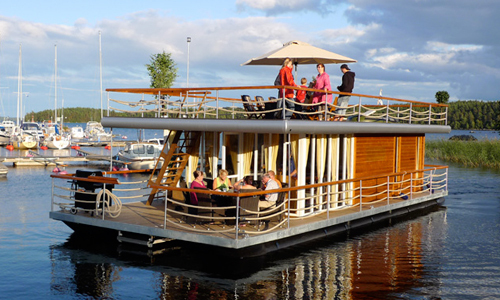 Your farewell dinner is a dinner cruise around Helsinki area islands. Tour ends and time to go home. But if you have a spare day it is not a bad idea at all to enjoy our big small capital, Helsinki! ° Professional PeterPanBike tour leader! ° Floating sauna in Jyväskylä! ° 2 on bike? No problem! ° No group size limits with his own groups! This is an easy 3 reindeers tour where we drive on paved roads. Length of driving day is about 8 hours with all the breaks! This tour fits well also for couples on the same bike! And as on our other tours we drive mainly on small secondary roads with light traffic! Come and enjoy beautiful Lake Finland!